Over the past ten years, JNL has slowly been tweaking and perfecting the art of getting the most out of your travel dollars. The truth is, I’ve had many hard years (in fact twelve) of being a student, and people thinking I was a rich kid even though I was literally hundreds of thousands of dollars in debt. I was living on student loans, hustling on the side, traveling on borrowed money with a credit card and a dream. While my financial situation has improved to some degree, I still use many of the tricks and shortcuts I learned along the way. As an international traveler, you have to begin to think critically about the way you use miles. What is the value of one mile? If you have earned 100,000 miles, how can you maximize the value of your award ticket. My first bit of advice would be for you to choose an alliance. There are three major alliances to choose from: ONE WORLD, STAR ALLIANCE, and SKY TEAM. If you live in the US, you will notice that these alliances correspond to the three major domestic carriers, American, United, and Delta. I can’t really tell you which one to choose, but based on which domestic airline you fly the most, you can pick the alliance that fits you best. Once you’ve selected yours, you really should do your best to only fly that alliance. 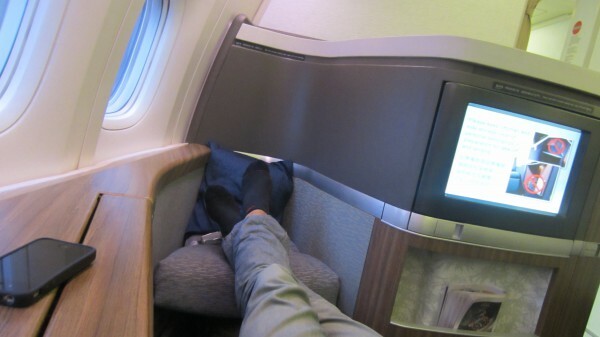 Every time you fly internationally, you can accrue miles on you domestic carrier of choice. Having all your miles with one airline in much better than having them spread out, in terms of the leverage you can get for award travel, and the difference in customer service. Make sure you can fly at least 25K miles per year on one airline, and you’ll make it into their premier club. Once in the club, you get priority access when boarding, access to the executive lounge, free upgrades, and much better customer services when you need to make changes. Choosing the right credit card can be key in really cranking up your mileage. Each major domestic carrier has a credit card that allows you to earn miles towards award travel. Try and put as many of your monthly bills on your credit card, and try and use it as much as you possibly can. In fact, unless you’re buying illicit substances or prostitutes, why are you using cash at all? When choosing a place to eat keep in mind there are dining reward programs that allow you to earn additional miles every time you eat at sponsored restaurants and bars. Once you’ve accrued a boatload of miles, you can start looking at rewards, use them wisely, In my opinion you should save them for big international trips, where they have the most value. If you use your miles for domestic tickets in my opinion you are wasting your miles. Most domestic coach tickets run around 40,000 miles, which corresponds to an average cost of around $600 for a domestic round trip. This works out to each mile being worth about 1.5 cents, a crappy 1.5% return on your dollar. 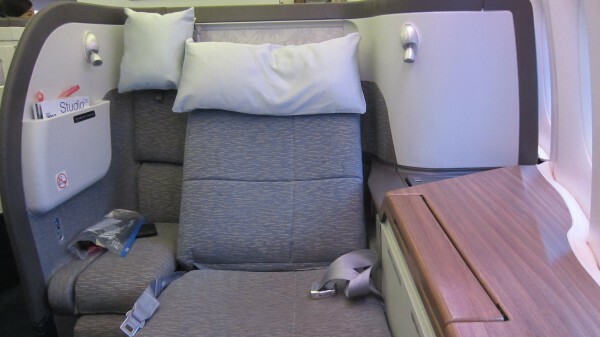 If you can save up 110,000 miles on the one world alliance, you’ve got enough for a business class round trip ticket to asia on Cathay Pacific or JAL. This ticket, if you bought it, would cost you around $10,000, so your miles are now worth around 9 cents each, a 9% return, which is a vast improvement from your 1.5% return on domestic tickets. 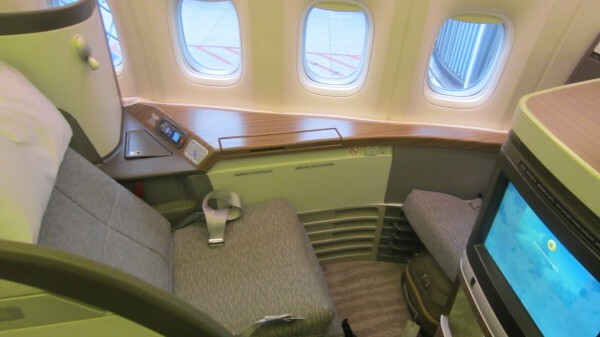 Not to mention, your experience on Cathay will far exceed any experience you could ever have on a domestic airline. I’m a compulsive planner so you may think I’m nuts but I buy my tickets WAY in advance, that’s me, perhaps you’re different. Depending on your personality, you may be a more last minute impulse traveler, but this can make things significantly more expensive at times. There are exceptions however, sometimes during low season, travel prices can drop as you get closer to your desired travel date. In my experience, if you’re flying during high season, or around a holiday, it’s best to book in advance. Booking far in advance can be challenging, however, if you really look hard at it, in most situations you can lock in at least one of your travel legs. Say for example I know I want to go to Art Basel in Miami, but I’m not sure when I want to fly down. At the very least I always know I want the late flight out on sunday night. I can buy that ticket one-way for around $150, then take my time in deciding when to choose my inbound departure, for which the supply/demand ratio is more favorable. Priceline Travelocity Expedia Bookit.com Hotwire. Kayak also just rolled out a fare tracker that allows you to see the price over time and you can set alerts to see when the price fluctuates. Once you get the price you want, I would encourage you to always try and purchase your ticket through the carrier itself. Using sites like expedia or priceline can make it very expensive and time consuming if your travel plans change. Find the best fare on kayak, then click through to the carrier’s own website and buy the ticket there. This is especially true for booking hotels, where its always best to book the hotel directly on the hotel’s website. If expedia is giving you a much better fare, and the hotel site price is much higher, get on the phone and call the hotel and explain this. In general they will give you some sort of discount to match the price. If you book on expedia and your plans change, you will find yourself in a foreign country calling the expedia call center in the Philippines only to find out that they don’t allow any adjustments and you’re just going to have to pay more sir. Does it sounds like I hate expedia? I do, they’ve fucked me SO MANY TIMES, I hate them, and Im getting back at them right now. This feels good, thanks. OK back on track, t his is a little sneaky, but even if you’re not a student, you can still use STA travel to purchase student fares. All you need is to buy an ISIC card for 20 dollars. When you purchase an ISIC card they dont really ask you for proof of being a student, I guess where all students of life and everyday is an opportunity for learning. I’ve wasted many a mile on domestic- excellent tips. And I think 12 years of dedication and living intelligently with your money has definitely earned you baller status!